With Xenoblade Chronicles X for the Wii U releasing in just over a week in North America, it makes sense to talk about a grand area within its predecessor. In Xenoblade Chronicles for the Wii and later ported to the New Nintendo 3DS, early on in the game you arrive at a special locale. 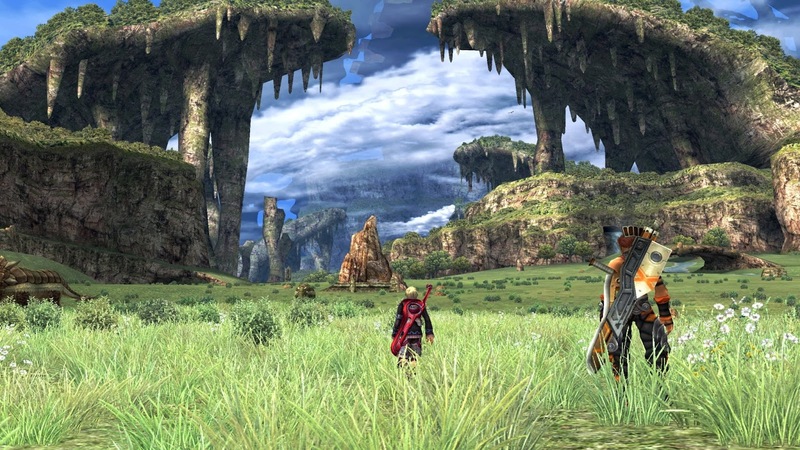 Before reaching Gaur Plains, Shulk and friends head through smaller contained areas like Tephra Cave and Colony 9. These smaller locations make the player's arrival at Gaur Plains all the more special. It is here at this location on the lower Bionis leg that Xenoblade Chronicles opens up immensely, offering the largest expanse in the game for players to journey and adventure in. 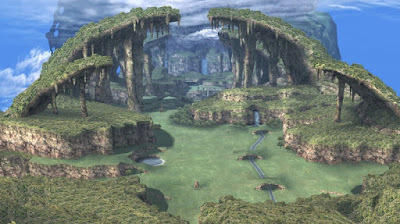 Gaur Plains connects a large variety of areas together, such as the Refugee Camp, where an important progression to the Xenoblade Chronicles story takes place, Volff Lair, Rho Oasis, and Viliera Hill. 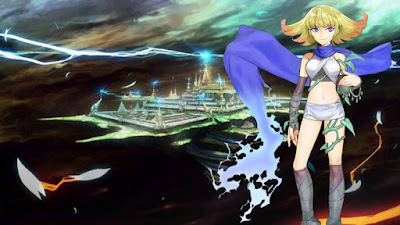 A gigantic enemy marches through the main field of Gaur Plains, easily able to wipe out Shulk's party if they engage with the omnipotent monstrosity. Still, if you're interested in exploring a massive and marvelous place, Gaur Plains from Xenoblade Chronicles is a terrific spot. My favorite of the all-new tracks seen in the downloadable content packs of Mario Kart 8, Wild Woods is a magnificent race through the treetops and a series of treehouses that the Shy Guy characters in this track call their home. Right away Mario Kart 8's anti-gravity central gimmick comes into play, having the racers line up vertically on a piece of track that stretches towards the sky. After the initial turn, racers choose from one of two short rail-less paths that converge on a curved wooden bridge where avoiding the gaps in the track and the barrels is recommended. This leads to a brief flight section, where Shy Guys ride down lines in the background and distance, making way for a ride down a water chute with plenty of twists, turns, and opportunities to perform tricks off small jumps. 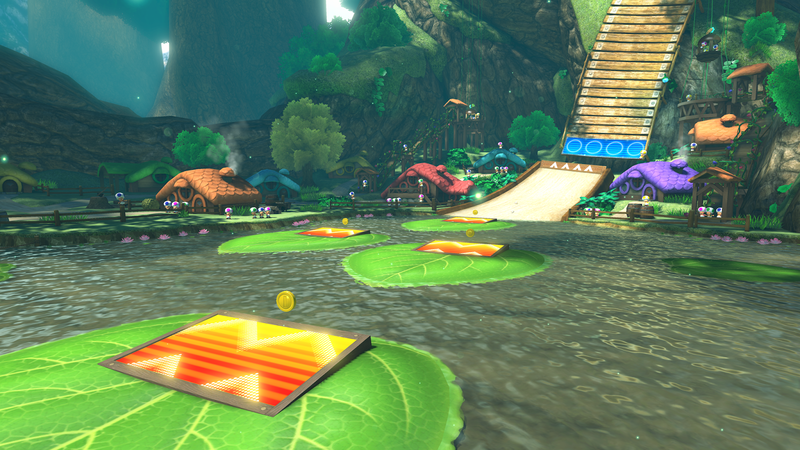 The water leads down to a pond where large lily pads housing boosts float along the top of the water. Finally, an S curve heads to the finish line so the race can be enjoyed for two more laps. Wild Woods is a marvelous track that contains some amazing beauty, a great location and scenery to boot, and impressive curves that require mighty skill to complete. 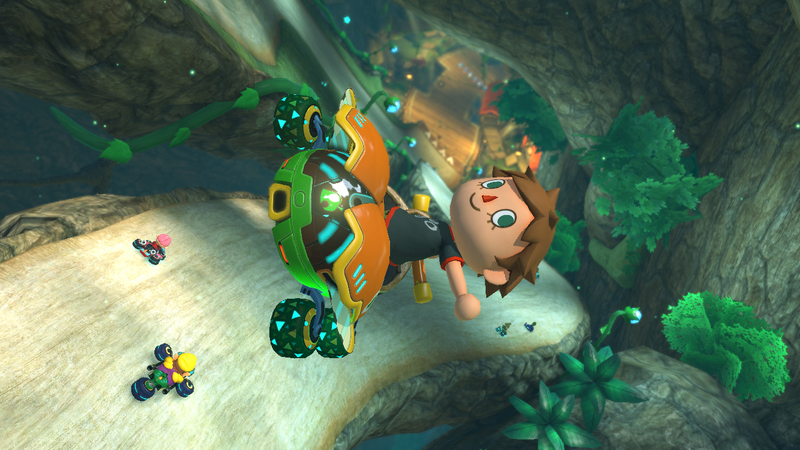 It is SuperPhillip Central's favorite DLC track in Mario Kart 8 for these reasons. A massive battle between Hades, the leader of the Underworld forces and Viridi, the leader of the forces of nature, have enemies flying from all over the place. Thanatos from an earlier chapter returns as head of the Underworld forces in battle while Phosphora heads Viridi's minions. Meanwhile, Pit is thrown into the middle of things, soaring through the tumultuous winds of the chapter's flying section. It's all while this amazing, rocking theme plays. After this section of level is successfully completed, Pit heads into the on-foot portion of the chapter, the Thunder Cloud Temple, a temple with electrified walls in certain places, elevators, secret passages, and ends with an enlightening (literally) battle with Phosphora. It's a tricky place to survive, but one that makes the player proud to complete after surviving the temple's various trials. Both the flying and on-foot sections of Chapter 14 make for one of SuperPhillip Central's favorite chapters in Kid Icarus: Uprising. 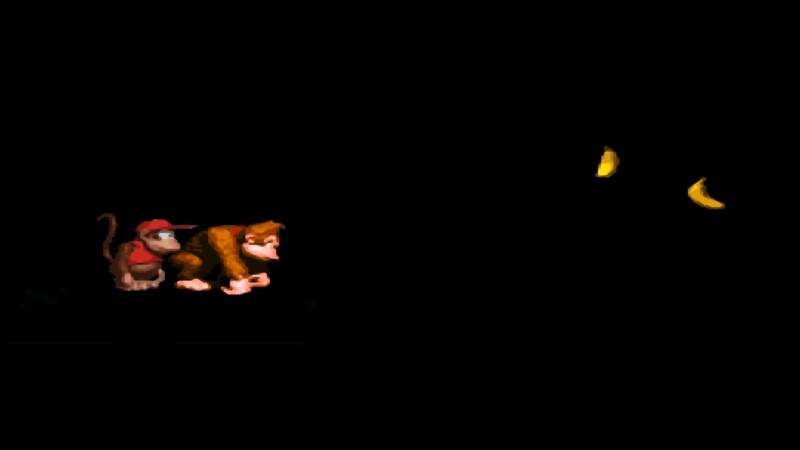 One of the final levels in Donkey Kong Country, Blackout Basement is a great level not just for its central gimmick, a level where the lights intermittently turn on and off, but because of its progression as a level in general. What I mean by this is that the level is a brilliant example of having a simple level concept and introducing more complexity and challenge to it to make for an interesting and memorable level. 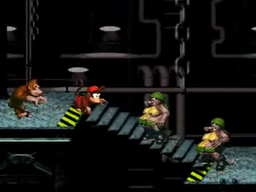 Without much knowledge of the level's design ahead of time, players starting off in this level will take it slow and steady, being unaware of what dangers in the form of enemies and bottomless pits lay ahead. There are a plethora of challenges to worry about in Blackout Basement that would otherwise be easy to pass if the lights didn't go off and on at a consistent pace. There are small platforms hovering above gaps, there are swinging ropes that allow Donkey Kong and Diddy Kong to travel across giant bottomless pits, and there are enemies like Kritters, Klaptraps, Klomps, and barrel-throwing monkeys that will trip up any Kong foolhardy enough to not look before they leap. A most unwelcome to Witchyworld, the third level within Banjo-Tooie, the sequel to SuperPhillip Central's favorite 3D platformer of all time, the original Banjo-Kazooie. Unlike your Disney World or your Six Flags, Witchyworld is a rundown theme park that houses a cavalcade of hazards, and that's just the food served in the vendors! Alongside the food is the dangerous rides that will for sure take a few years off a bear or bird's life. 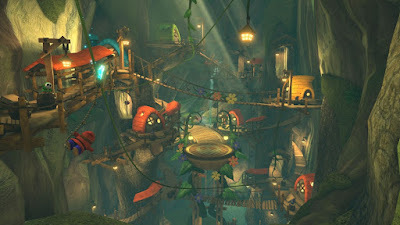 Grunty's hostile theme park contains four sections in the main compass directions of the park, Area 51, the Wild West Zone, the Space Zone, and the Haunted Zone. Each area encompasses a different theme and series of of attractions. The rides in each section are mostly broken down and out of service, requiring the player to change into Mumbo Jumbo to recharge them. The main attraction in the center of Witchyworld is the Big Top. 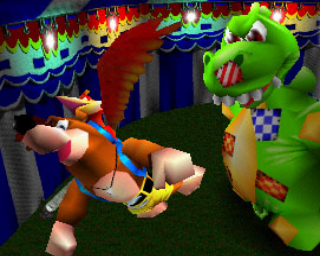 Here is where the boss of the level dwells, a giant inflatable dinosaur named Mr. Patch, who was featured in an edition of Best Boss Battles in Gaming History. 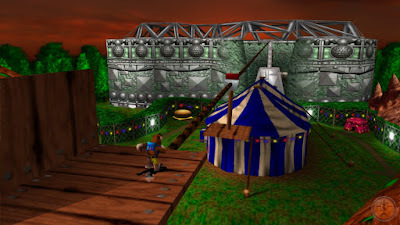 All in all, Banjo Tooie's Witchyworld sports plenty of variety to it through the various sections of the theme park, making it one of SuperPhillip Central's favorite levels in the game. Rank Up! - Super Smash Bros.